Thank you, once again, for your partnership and support. We once again had a great, Spirit-filled time. Hearts are absolutely moved and changed! 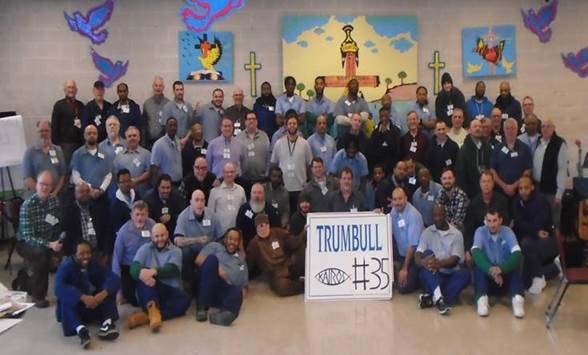 We covered a great deal culminating with a Forgiveness Ceremony where the participants were able to begin to release hurts of unforgiveness. They were given a ‘homework assignment’ of giving away a bag of “Forgiveness Cookies” to the person in the institution for whom they are holding the most in unforgiveness. Thank you, Cookie Bakers! Cory (who is Muslim) said that he didn’t think he wanted to be around a bunch of Christians and Christian-talk, but that all he experienced was love. Aaron said that he was really moved by the prayer chain and all it symbolized because “the last time I saw chains was when my girl was feeding me during a visit — I was shackled to the floor”. Personally, I delivered a talk yesterday entitled “Spiritual Growth Through Study”. The focus of the talk is to prepare the residents for growing in faith while incarcerated. The other talks were all focused on having residents come to grips with their decisions, how to deal with circumstances and rest on God for comfort and salvation. As always it was a great weekend and we can’t thank you enough for your support and baking. By the way, we took in 30,000 cookies. I feel like I ate half of them. Peace and thank you all so much. Hello cookie friends and family. A couple of times a year we come together for this cause. So many of you have been faithful cookie bakers for the residents in the past and we are grateful for all you have done. We would be delighted if you could do so again. 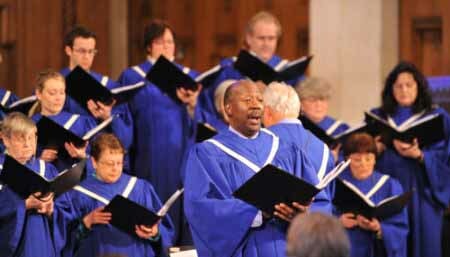 We have 30 on our team which is large but it takes a lot of work to conduct the Kairos program. You have all done this before and you know that the cookies are a great attraction. But we always have a backlog of men who want to go through the program. The sugar pull ends up changing lives in incredible ways. Details are below but we will be glad to answer questions through the form at the bottom of the page. We collect cookies a couple of times a year, watch for details. You can drop them off at Church of the Saviour, mom’s house, First Baptist or BVU. I can also swing by and do special pickups. The types of cookies that are generally acceptable are Oatmeal, Peanut Butter, Molasses, Chocolate Chip, Ginger, and Sugar. Check with your local institution for specifics on the type of cookies that are allowed. Cookies should be between 2 inches and 2-1/2 inches in diameter and not more than 1/2 inch thick. It is very important not to use icing, sugar or any other type of coating on the outside of the cookie. Do not add any kind of fruit or nuts to the cookies. Pray individually or as a family over the ingredients before and during mixing. Pray over the cookies as you drop them onto the cookie sheets and bake them. Ask God to use your cookies as a source of His love to shine on the prisoners and staff on the Kairos weekend. Pray that each cookie brings the inmate, officer or warden who eats it closer to God. We want every person to become part of the family of God. Bag thoroughly cooled cookies in a quart-sized Zip Lock bag, a dozen cookies to a bag. Label each bag with the cookie type inside. Freeze all cookies if not using within 3 days. If you are not working on the team, please deliver the cookies to a team member before the start of the weekend, so they can take them to the prison. set. Makes 3 dozen cookies. Combine Crisco, brown sugar, egg, milk and vanilla in a large bowl. Mix at medium speed until well blended. Combine oats, flour, salt, baking soda and cinnamon in a separate bowl, mix well. Add to Crisco/sugar mixture until just blended. Drop rounded tablespoons of dough onto cookie sheet. Bake at 375 degrees for 10 to 12 minutes or until lightly browned. Makes 2-1/2 dozen cookies. Combine shortening, sugar, milk, and vanilla in a large bowl, mix until well blended. Add egg and mix well. In a separate bowl combine flour, salt and baking soda, mix well. Add to shortening/sugar mixture until well blended. Stir in chocolate chips. Drop by rounded tablespoon onto ungreased cookie sheet. Bake at 375 degrees for 8 to 10 minutes for chewy cookies or 11 to 13 minutes for crisp cookies. Makes 3 dozen cookies. In a large bowl, cream margarine or shortening with sugar. Add egg and blend. Add molasses and spices; mix well. Add flour and baking soda and blend. Chill dough 30 minutes or overnight (covered tightly). Shape dough into small balls and place 2-inches apart on ungreased cookie sheet. Bake at 325 degrees for 10-12 minutes. Remove from oven and cool on wire racks. Makes 2 1/2 dozen. Beat together margarine, oil, granulated sugar, powdered sugar, eggs, and vanilla. Sift together flour, salt, baking soda and cream of tartar. Add dry ingredients to margarine mixture. Drop from a teaspoon onto greased cookie sheet. Bake at 350 degrees until cookies are light brown around the edges, about 8 to 10 minutes (watch closely; cookies will be dry if they get too brown). Makes approximately 5 dozen. If you need help or would like more information about the Kairos Minstry, fill out the form below. There is no charge for vendors. 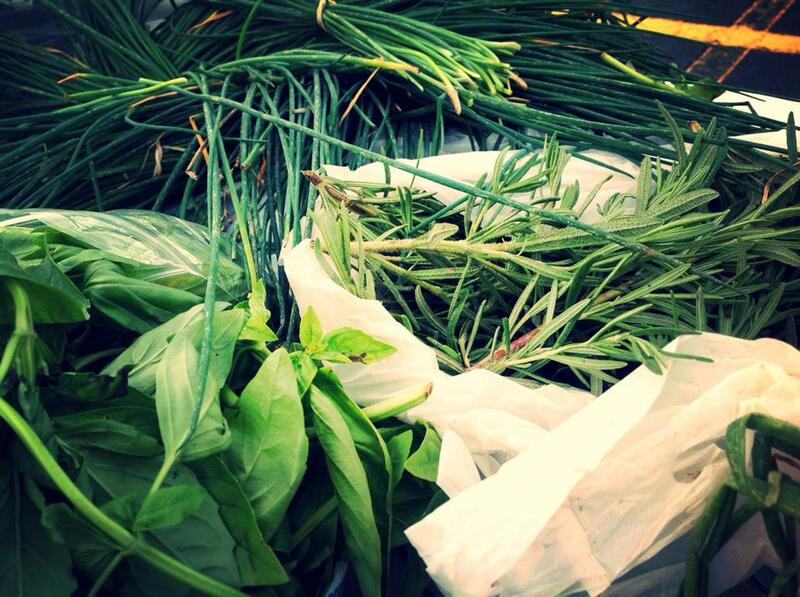 Come shop for freshness and have dinner with Faith’s Kitchen. Our Famers Market is seven years old, the goal is bringing the community to FBC where fellowship takes place, everything we sell is organic. We have a play area for Children and from time to time we have live music. I would like more information about the Farmers Market. 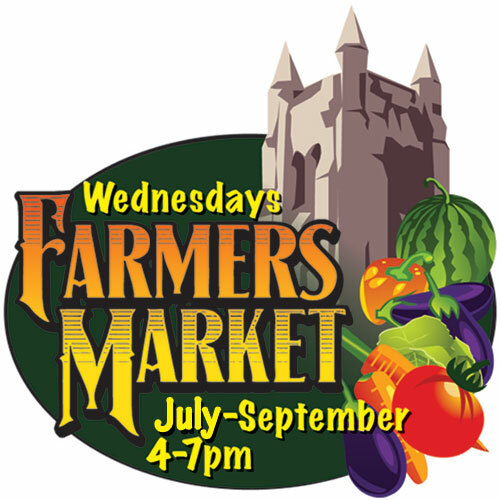 Each week vendors and items for sale vary depending on weather and product availability. One Sunday Each Summer We’re Outta Here — our service begins! This is the 12th year that First Baptist Church has left the building for a day of community service, outreach, and fellowship. Information and sign-up sheets will be available in Swasey Tower May 5. Find a project that you would like to do and sign up. We will begin with a brief communion service then it’s off we go to serve! Our celebration lunch from 12:30 – 2:00 PM is under the capable leadership of Tony Peebles, Benne Christian, and Debra Hagler. Request more information about Faith in Action or sign up. Rev. Kregg Burris will lead us in a brief communion service then it’s off we go to serve! Here are some of the Project Leaders. This group will walk the neighborhoods near FBC collecting food items for Family Promise and for the Hunger Center at Bethany Baptist Church. The FBC Boy Scout troop will assist by distributing fliers, in advance, to the homes we will be visiting. Please bring your own water bottle, rain gear, stroller, and wagons. Project Leaders: Laura Leanza Preston, Jen, and Steve Bopple (meet in Wheaton Center). Project designed for: This is a great project for any age; infants, toddlers, children, youth and adults. There is no limit to the number of participants, the more the better! This group will travel to Judson Retirement Center for a hymn sing. We will go to several sections of the nursing care facility to sing familiar hymns with the residents. Project designed for: Anyone who enjoys singing the old familiar hymns and in so doing bring a smile to the faces of these older people. You do not need to be a great singer, the words and music will be provided, just bring along a great spirit. This project is open to children, youth and adults of all ages. Come help create a useful green space in our city. As we work together at a Cleveland Community Garden, located at 1407 E. 40th, Cleveland. The team will be weeding and thinning the garden to prepare the ground for planting. Bring a water bottle, rain gear, work gloves, kneeling pads, weed whackers, and small hand shovels. Project Leaders: Jane Pernicone, Ship Collins & Todd Rogers (meet in the Fairmount Hall by the water fountain to carpool. Project is designed for: youth and young adults but all are welcomed. 10 – 15 are needed. Come join with families living at nearby Family Promise in a morning of fun crafts, games and stories with the children while the parents have an opportunity to have their own “Ask the Doctor” discussion group. Project designed for: 10-15 people; children, youth and adults. This year our garden is again being opened to neighbors in our community as well as FBC people who would like to have their own plot. Some of all produce grown goes to the Hts. Hunger Center. Come and help get things started. Gardening experience is not needed. Please bring garden gloves. Project Leaders: Toboli SamYellowe & Aaron Oliver (meet at the Garden). Project designed for: 6-10 people; older children, youth, and adults. This is a new project this year. We will be distributing one whole truckload of fresh produce to the hungry. This will be set up in our parking lot and we will need lots of willing hands to be at various stations to pass out the fresh fruits and vegetables. Project designed for: 20-25 people, older children, youth and adults. Currently, bandages are being sent to the Congo. The Fireside Room will quickly be transformed into what looks like a small factory: some ripping sheets, some running sewing machines, some rolling strips into bandages and everyone talking and having fun. Three portable sewing machines are needed as well as three people to operate them. Project Leaders: Mari Shroder-Jenkins and Barbara Walker (meet in the Fireside Room). Project designed for: Older children, youth and adults, there is no limit to the number of participants to help with this project, the more the merrier. The participants will be busy sorting and packing the times for delivery later in the week. Project Leader: Joan Mihelich (meet in Spahr Center). Project designed for: 7-8 people; men, women, and teens. This is an easy sit-down task of putting together a dessert of trail mix for our next guests we serve at the hot meal at Calvary church. This group will also prepare emergency food snack bags for the homeless mentally ill who receive services from a local mental health agency. It is difficult to help clients when hunger is their most immediate need. Project Leaders: Tina DeBlaey and Iris Goins (meet in the Livingston Room). Project designed for: 8-10 people; children, teens, and adults. If you enjoy being in the kitchen this project is for you. Help set up the tables, fire up the grills and help cook a delicious lunch. Report for duty to Head Chef, Faith Arnold in the main kitchen by Fellowship Hall. This also includes staying to help with clean-up and washing dishes. If there is a need, our nursery will be open for babies and toddlers with care being provided by the regular Sunday staff. Parents need to register in advance at the sign-up table for this service. The following items are needed for families as they make a fresh start in their own apartments. Collection baskets in the Fairmount Hall beginning May 5! Each year we participate in the Run/Walk for Hunger which is the Hunger Network of Greater Cleveland’s signature event taking place each May to raise funds and awareness to fight local hunger in Greater Cleveland. We will let you know when you can sign up to Run/Walk or you can Donate to help us reach our goal! 2019 is the 31st Annual Run/Walk for Hunger, and we hope you will join us as we get fit to fight hunger! WHAT? 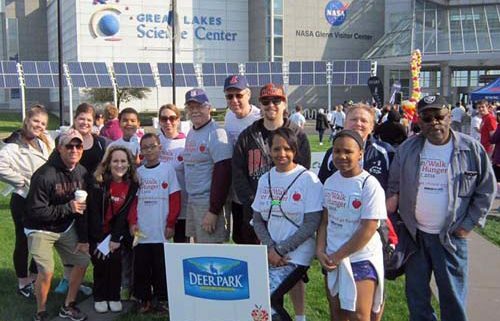 The Run/Walk for Hunger is a 5K run or walk through downtown Cleveland beginning and ending at Great Lakes Science with music, refreshments, and entertainment for the entire family. The Hunger Network has partnered with Hermes Cleveland to create a professional run experience for participants that will include shutting down the streets of Downtown Cleveland for a scenic route that all runners and walkers will enjoy. Where? The Great Lakes Science Center at 601 Erieside Avenue, Cleveland, OH 44114. WHY RUN/WALK? The Hunger Network is the largest emergency food distributor in Greater Cleveland with over 70 hunger centers strategically placed throughout Cuyahoga County. Each month, 40,000 people receive food at one of our food pantries and hot meal sites, and 30% of those served are children. Every $1 raised at the Run/Walk for Hunger can be leveraged to provide 4 nutritious meals to feed those in need! OUR PARTICIPANTS Over 2,000 individual walkers and teams of 10 or more participants each year to help raise money in an effort to stomp out hunger right here in Greater Cleveland. Walkers who raise $30 or more earn an official Run/Walk for Hunger T-Shirt. Prizes will be awarded to top fundraiser teams, individuals, and fastest runners. PARTICIPATE! To participate in the 31st Annual Run/Walk for Hunger, volunteer, walk or run on our team contact Karen Gill through the form below. 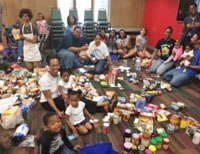 The mission of the Hunger Network of Greater Cleveland is to reduce hunger by providing food and linkages to other vital services for hungry people, especially children and families, and by actively participating in a coordinated community response to people in need. In alignment with the great commission, which is the instruction of the resurrected Jesus to his disciples to spread his teachings to all the nations of the world, the Christian Education Department is introducing our first global learning outreach project. The body of Christ is in global connection with its members and as global members for the kingdom we have a vital function. T he Christian Education Global outreach learning project for 2018 is to send Bibles and Christian Literature to a global ministry in need. 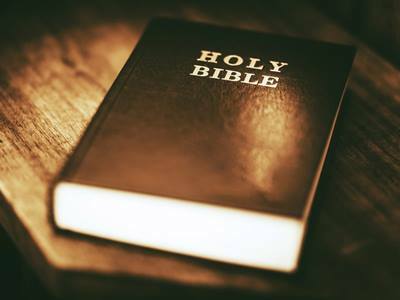 The Christian Education Department is seeking donations of Bibles and new and used Christian materials (Bibles, books, magazines, articles, etc.). The Christian Education Department is asking members to write letters of encouragement to their brothers and sisters in Christ as they strive to preach the gospel throughout their country. These letters will be attached to the books. The Hunchback of Notre Dame was a success! The cast, crew, musicians and everyone else that helped put on this production want’s to thank you for attending and your continued support of H.E.L.P. Mason Stewart & Kelly Pernicone – Happy Ending Lyric Players (H.E.L.P.) appeared on Channel 3 (WKYC) We the People talking about H.E.L.P. and their new musical, Disney’s The Hunchback of Notre Dame. 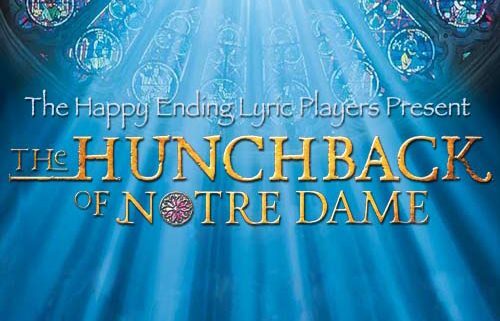 The musical premiered in 1999 in Berlin, Germany as Der Glöckner von Notre Dame (“The Bellringer of Notre Dame”). It was produced by Walt Disney Theatrical, the company’s first musical to premiere outside the U.S. It ran for three years, becoming one of Berlin’s longest-running musicals. The musical relies on a series of musical leitmotifs, which are reprised either instrumentally or vocally. Each of the central characters has a theme (“Out There” for Quasimodo, “God Help the Outcasts” for Esmeralda, “Hellfire” for Frollo, and “Rest and Recreation” for Phoebus). “The Bells of Notre Dame” acts as a narrative device to tell parts of the story.Come One! Come All! Here it is, the moment you’ve been waiting for! 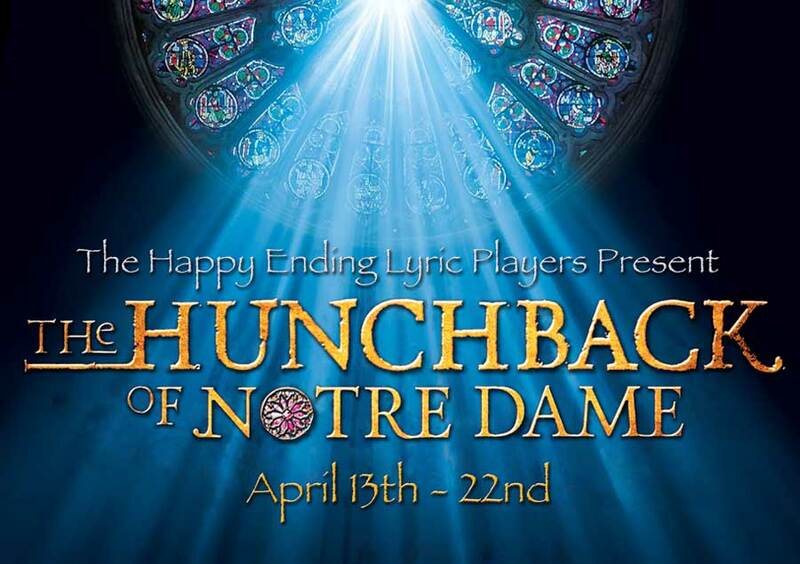 Mason Stewart directs this production in our beautiful sanctuary that brings to mind a cathedral in Notre Dame. A sweeping score and powerful story make The Hunchback of Notre Dame an instant classic. Audiences will be swept away by the magic of this truly unforgettable musical. 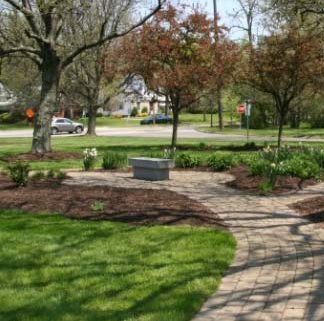 Park in the back of the First Baptist Church at 3630 Fairmount Boulevard (at Eaton Road) in Shaker Heights and come in through the Portico Entrance. We look forward to seeing you! If you have any questions or need more information please complete the form below.